Not my favorite but not terrible. A but of a tight draw and strong pepper flavor. Need a good Scotch on the rocks. The V is o e of my favorite Olivas. Full of changing complex flavor. From earth, leather and coffee. Really pairs up nice with a beverage. Beautiful smoke. Well make, smooth draw, even burn and filled with flavor. If you like a more full bodied cigar this a great choice. Never disappoints. I mean it's the v. Really what more can you say about a top notch cigar. I am all about this one. Solid smoke for a great occasion. Treat yourself to one today. 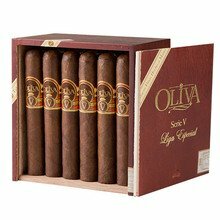 Olivia makes some of the best cigars on the market. 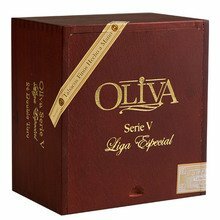 The Oliva V Serie is no exception. Nice medium brown wrapper. Burns evenly and flavors of coffee and creamy spice. A great full bodied cigar with a lot of flavor and quality construction. Slightly strong due to the ligero in it. I really appreciate its consistency from beginning to end. I love the series O and am really excited to try these. Hope I can win a pack today! 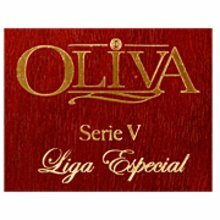 One of the better Oliva cigars out right now. The Serie V is a smooth and flavorful smoke with some very good, well balanced flavors. Great smoke. This is one you won’t regret trying. The flavor is excellent. The burn, draw, construction and consistency are equally impressive.